Each of these question regarding the IRS / Internal Revenue Service is of great importance to us. Everything begins with the knowledge of which form is to be used. Assuming that has been done correctly then the next thing to do is wait until your Tax Refund arrives. That of course would be the perfect scenario but that is hardly the case. This is why IRS Questions.org exists. Look around at the various Question types to the right and top to find what you require. I work full time and my husband is on full disability. Can I claim head of household? I’ve researched your question and based on the IRS response at the IRS website address below. It looks like if you add up your income and 1/2 of your husband’s income and anything over $25,000 is taxable. Check out the forms listed as “taxable aount of the bennefits” that’s where the actual forms are. Remember, I’m not giving legal advice on this site. I’m simply connecting your questions to the legal resources.The responsibility is yours to know the law. I will point you to the official IRS responses to help answer your IRS Questions. Am I considered a 1st time homebuyer if I bought a home for the 1st time in 2008 on my own. I was previously married in 2007 and owned a home with my husband, but he was the primary. I’ve looked up the definition of a First Time Home Buyer and it’s tax credit and can see it is actually like a 15 year interest free loan. It’s very interesting and states that the home must be purchased by the taxpayer on or after April 9, 2008 and before July 1, 2009. The amount could be up to $7,500! I think it’s possible you could. 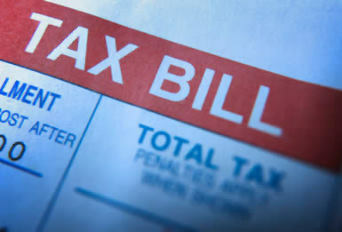 This link is to what the IRS calles Topic 611 where you can see for yourself. Remember Nancy, I’m not a trained tax person and I’m not giving legal advice. It is your responsibility to know the Law. I do enjoy looking this information up and sharing with others. How would i recieve forms from the irs to file my back taxes? I have never filed for taxes since 2004. Im only 21 and have no clue what to do. i have moved numerous times and have never recieved a w2 form because it would be sent to the wrong location. i have worked so many places that i wouldn know what employment dates or anything to actually have them send me them now. i just figured the irs would have a record of all the money they would have taken out of my paychecks in the first place. so i kinda would just like a copy of the records so that i can file to get what ever i can back. So how would i go about doing this. If you could figure it out please help. Thank you very much. I have a question, if you have all your 1099’s from gambling you allso have all you atm receipts and your receipts from the casinio’s showing that you spent why more then you won, can you take the difference from your income? I am almost certain that my ex husband is hiding his earnings from the irs to show that he is making a significant decrease in income. We have a hearing in court soon so he can lower child support. He says I can see his W2. I still think that he is doing something to not show on his W2 that he is making a lot less money than previous years. Anything I can do? I statred a business in late 2008. This year (2009) I have been developing my product. I have a question about expense. Example. I purchased a trailer for my business and have added several thousand dollars to make it operational. It is a moble business. Question does all my supplies and materilas that I used to make my trailer operational count as individual expenses or will all the materials needed to improve the trailer add to the basis of the trailer. Hi. Gosh, I was glad to find your website! Thanks for doing this and for obviously having a passion for it. Although I worked for a CPA years ago and did tax returns myself, I was glad to get out of that! However, at the time I really liked it…after I left, taxes were just a burden to me! I just today received an inheritance check from an IRA account that belonged to a friend of mine who died about 6 years ago. I am on disability and do not make enough to pay taxes, but I seem to remember that IRAs are not taxed at the time they are paid into the account, but are when they are withdrawn. Would this apply to a beneficiary of this inhertance? Even with this check, I would not be over the $25,ooo (is that right?) amount that would cause me to be taxed, but wonder if it might be taxed anyway because of the TYPE of income. Thank you so much for your help! I am not a CPA, never was, and just don’t remember enough to feel confidence in my judgement on this.